Brown has been with Pittsburgh his entire career but his relationship with the team has soured over the past year. If this is indeed the end for Brown as a member of the Steelers, he will go down as one of the organization's best receivers of all time. If Brown is on the roster beyond five days from the start of the new season, he will receive a $2.5 million bonus. 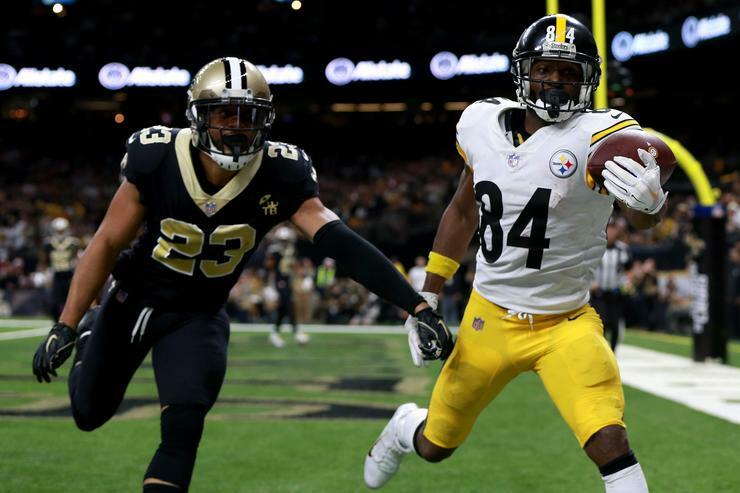 With Howie Roseman clearly intent on adding weapons and explosive players, could the Eagles have interest in acquiring the Steelers star wideout, Antonio Brown? He's a four-time first-team All-Pro and seven-time Pro Bowler who has racked up more than 9,000 receiving yards and 67 touchdowns in the last six seasons. In addition, there is a still a possibility that the Eagles could extend quarterback Carson Wentz this offseason, which would have a major impact on the salary cap in 2019.